In 1831, after sacking Kaiapohia pā, Ngāti Toa leader Te Rauparaha returned to Akaroa Harbour. 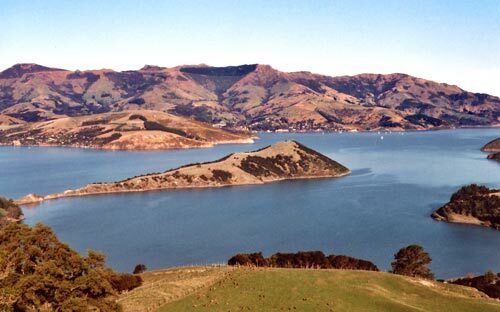 Ngāi Tahu of Banks Peninsula had built a pā on the Ōnawe peninsula (pictured, centre). Te Rauparaha captured the pā, but this was as far south as he got.